After a fire, hurricane, flood or windstorm, protecting your property and your belongings may seem like common sense. After all, you want to preserve as much of your personal property and real estate as possible. You also have a duty under your insurance policy to mitigate damage caused by an adverse event. 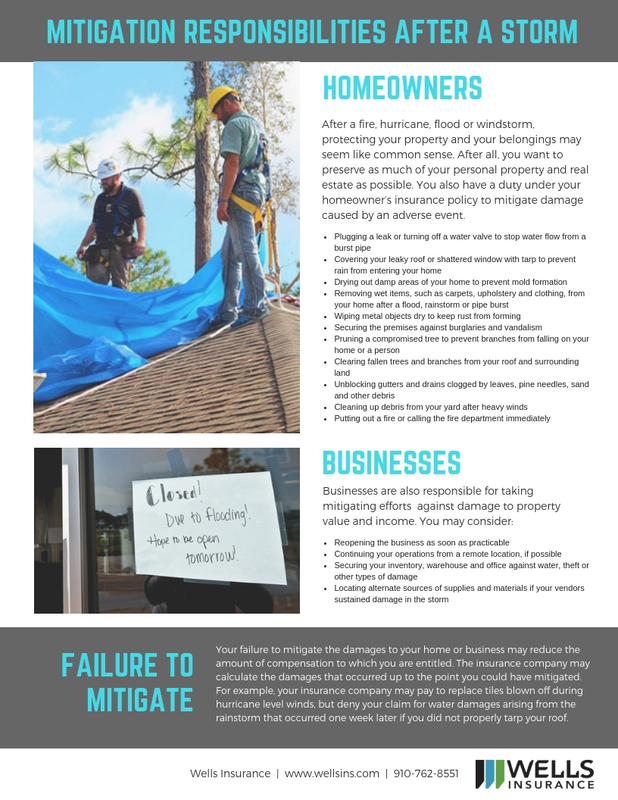 Please be sure to adequately mitigate your property to avoid further damage. Do not take action that is beyond your ability or skill level, such as removing heavy debris. In such a situation, you may need to contact a professional to assist you with your mitigation efforts.